We are launching Tangerine Dreams, a new line of Sweet Dog Organic Treats! Sweet Dog Organics is launching our new line of colorful organic treats. Using natural colors, we have been working on developing recipes for pink, yellow, blue, purple and yellow dog treats. The first in our new line of colored treat is the Tangerine Dreams. Just in time for spring, these organic flower shaped treats are colored with organic tomato paste and are a big hit with all dogs, big and small. "Tangerine Dreams" treats are packaged in our cute Chinese take-out containers. These cookies are made with organic wheat flour, organic oat bran, organic sunflower oil, free range organic chicken eggs, tomato paste, pinch of salt and lots of love. 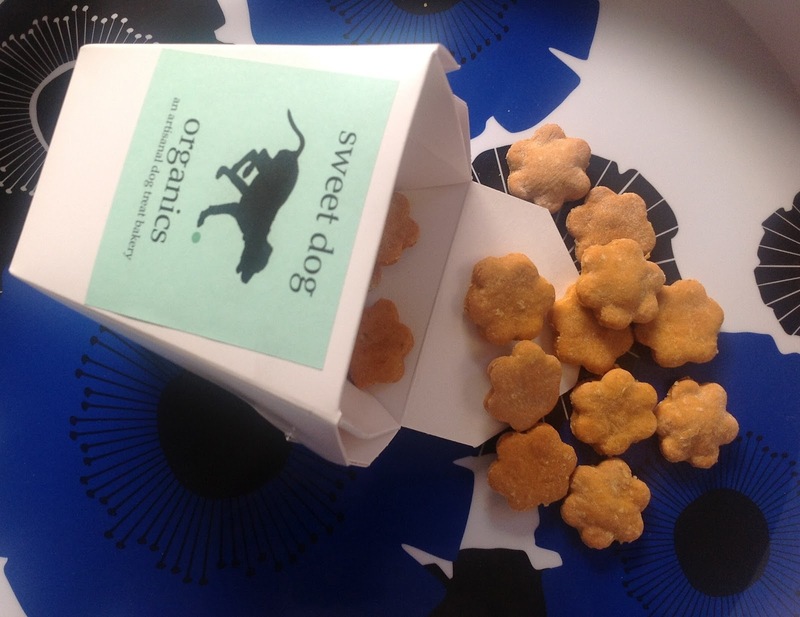 Tangerine Dream are available through the Sweet Dog Organics online store. We are offering FREE SHIPPING in the United States. I hope your Sweet Dog enjoys them as much as we do.